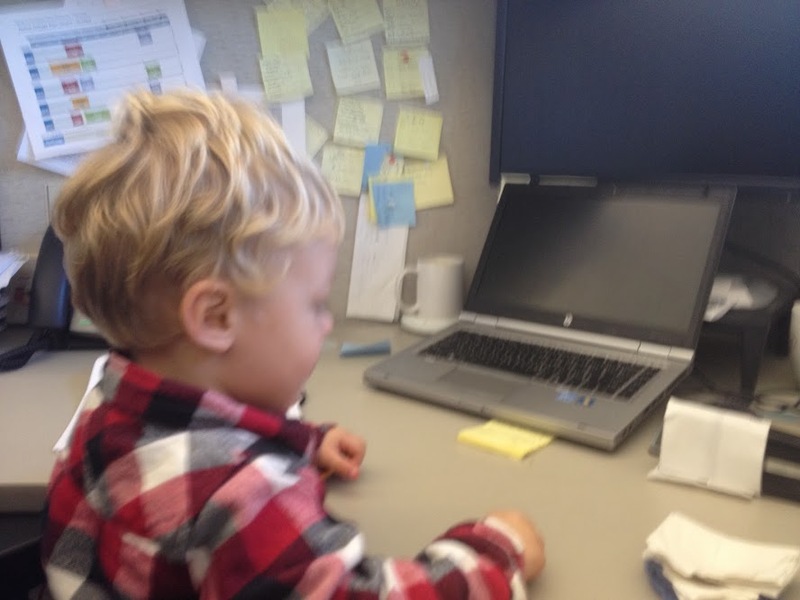 You’re never too young to plan for retirement. Okay, maybe 2 is too young. We’ve been chiming in on the trending topic of Financial Independence/Early Retirement (FIRE) here lately. But what if FIRE is the furthest thing from your thoughts? Maybe you’re just making it. Maybe you’re retirement age, but with no end in sight. Or maybe you’re still in college, just trying to get through the semester. No matter what your phase of life or financial situation, you owe it to yourself to think about at least the FI in FIRE. We’ve critiqued some of the philosophical/theological implications of the phrase “financial independence,” but we can’t argue with the math. We would all love to be as free financially as possible, right? While that might be far from your reality today, there are realistic steps everyone can take to work toward freeing up your finances in the future. Rather than focusing exclusively on the finish line of “financial independence,” we like to think of it as a continuum of increasing freedom, which we call financial flexibility. The basic recipe for financial flexibility looks like less expenses and more passive income, especially from investments. The less money we need to actively earn via a traditional job/paycheck, the more options we’ll have. More options for taking opportunities that come our way. For changing careers or our reducing workloads. For family, travel, service, and charitable giving. And options for retiring. Sounds great, but some common misconceptions get in the way of planning for retirement and/or financial flexibility. Are any of these holding you up? I’m never going to retire. Not with that attitude, you aren’t! But there are lots of real reasons people feel pessimistic about money. Overwhelming debt or other large financial responsibilities can make us feel like we’ll never dig our way out. Rather than getting defeated by the obstacles, try to focus on what you can do. At the very minimum, strive contribute enough to your retirement account to get your employer’s match. Otherwise, you’re essentially kissing part of your paycheck good-bye. More on next steps under #3. The stock market isn’t safe. We don’t believe true “safety” comes from any financial source. But as far as destinations for your retirement savings go, the stock market is where it’s at. While it certainly takes its dips, the roller coaster has steadily trended upward over time, generally at a rate of 7-8%. That’s far better than you’ll get in a savings account–and the only way to beat inflation. And the power of compounding interest really takes off over time. Investing is for the wealthy. I used to believe this, not realizing that investing is exactly how “average” people get wealthy. Investing slowly and steadily over the course of 20-30 years can get you where you need to be to retire without doing anything extreme. Start by getting that employer match. Next, work your way up to 15%. Got that down? Then see if you can max out your 401(k) ($19,000 per person per year) and IRAs ($6000). You never know what will happen. I used to feel like declaring a big financial plan was unwise because you never know what life will bring. If we set a big goal and didn’t meet it on time due to unforeseen circumstances, this would feel like a failure. Yet life’s unexpected nature is exactly why you should be saving and planning for the future. Yes, sickness, emergency, career change, or other surprises could dramatically modify your financial outlook. So why not be prepared? In addition to investing, get a good life insurance policy for both spouses, and long-term disability insurance. What can you do today? It all depends on your situation. But everyone should consider the following potential steps toward increasing financial flexibility–and therefore freedom. Reduce debt. If you’re still in school, seek alternatives to paying for a portion of tuition, such as scholarships, grant, work-study, and summer/side jobs. And please, don’t take out loans to cover living expenses. When you’re out of school, resist the urge to defer loans unless absolutely necessary. Try to keep living expenses low at least until you’re done paying off those loans. And avoid consumer debt by starting an emergency fund of $1000, and then building it to 3-6 months’ living expenses. —food (cook at home, pack lunch, pre-game restaurant outings). Learn about investing. If the stock market sounds intimidating or confusing, read about it in straightforward books like The Legacy Journey (see appendix) or The Simple Path to Wealth. The thing I love about investing is that we don’t have to spend a lot of time side-hustling to earn future passive income. We can build wealth without additional effort, simply by putting money in low-fee index funds (we use Vanguard) consistently over time. What are your hang-ups when it comes to planning for retirement? And what step could you take today to invest in your future? The Financial Independence/Early Retirement is making national news left and right. It’s been featured in many major media outlets, from Forbes to PBS. The secret is out: more and more people are opting out of work in their 30s, 40s, and 50s, and they claim it’s really not that hard to do. On top of all that, Suzy Orman has come out of retirement and stated no one should ever retire early, kindling a fierce debate. She claims there is no “safe” amount of money to save because you never know what will happen. We’ve had our own qualms about FIRE movement, yet are on track to retire long before age 60. But the questions we’ve wrestled with are perhaps a bit different than the ones that get debated so often in this space. There’s no doubt in my mind that many people can save enough to retire early. I fully acknowledge that we don’t know how much the future costs. We don’t know exactly how much raising kids will cost. We don’t know exactly how much aging and health care will cost. And we don’t know what unexpected challenges or opportunities life may bring. What I do know is that our income happens to be more than we feel is reasonably necessary to spend. And as we aren’t making an extraordinary amount of money or living an extremely frugal lifestyle, I imagine there are many, not all, but many who could save enough to exit early, too. A far as I can tell, the real problem isn’t that the man in the story was rich, or was able to retire early, but rather: 1. He thought he didn’t need God, and 2. How he planned to spend his retirement. We’ve always hesitated to latch onto the phrase “financial independence” (the first half of FIRE) because we view ourselves as ultimately dependent beings. We are not in total control of our health, our opportunities, our circumstances, or even our aptitudes. This is not to say that we aren’t dynamic beings who are responsible for our choices We just aren’t the end-all, be-all of our existence. We also want to acknowledge that we have abilities and opportunities we didn’t deserve or earn. While highly valuing our ability to make choices that impact our lives, we simultaneously see our talents, intellect, employment, and money itself all as provisions from God. So while I know people use FI to refer to a mathematical reality, i.e., I don’t need to keep earning money from work, we prefer the term “financial flexibility.” First off, it doesn’t declare an independence we don’t believe is possible. And secondly, it suggests a continuum along which we are always moving. We can have the same mathematical/financial goal as someone pursuing “FI,” but we want our terms to reflect our worldview. Our other qualm with FIRE is how retirement is to be spent. The common objections of “you’ll be bored,” “you’ll miss work,” or “who wants to golf all the time?” again fall flat for me. 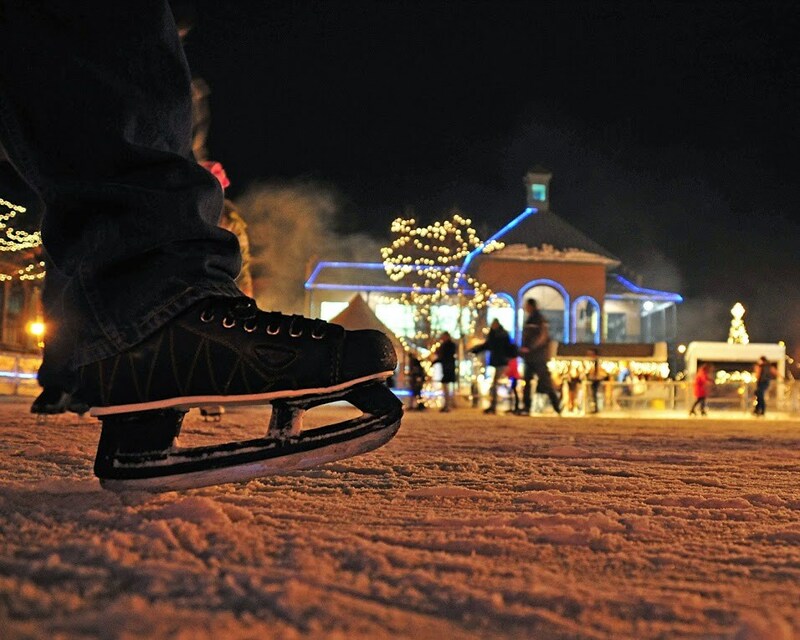 There are no end of interesting ways to spend your time outside of full-time employment. And I’m sure most early retirees continue to work at something, and often continue to earn money. People who are smart, talented, and hard-working enough to retire early probably aren’t decaying in front of Netflix or endlessly golfing. The sad ending of the Luke 12 parable is that “tomorrow you die.” And whether you live to 18 or 80, we all die some “tomorrow.” Human life is short, and it’ll be over before we know it. The only way to outlast ourselves is to live for eternity, for a purpose bigger than us. So by all means, we should invest in ourselves, but all self-improvement should serve the purpose of improving the lives of others. So we only feel okay with RE if we use our freedom as a way to serve others. What will that look like? We’ll let God show us as the time draws near. Which is not to say we have no ideas, but if it’s going to service-oriented, we want to be sensitive to needs and opportunities as they arise. Next time I’ll talk about the key to pursuing FIRE without getting burned. What are your qualms about financial independence/early retirement? Are they mathematical or moral? Christmas has me thinking about a man who pretended to be poor. He left the wealthiest kingdom of all time to become a simple tradesman. He left the most powerful social status to become a peasant. He left glory to be scapegoated, and left honor to be humiliated. He released the use of divine power to take the form of a helpless human infant. He became poor so we might become rich. This phrase has haunted me this holiday season. What does it mean? The love, joy, and peace that comes from knowing Jesus cannot be surpassed by the best investment portfolio, the nicest house, or the most successful career. We owe our family, friends, health, talents, material provision, and so much more to the Giver of all good gifts. We truly have been made rich in every way by the One who pretended to be poor for our sake. He paid the debt we owed Him, that we could never repay no matter how hard we tried. He paid it at great personal expense–becoming poor, and giving His life. We are far from perfect at giving freely. But we will continually the beat the drum of generosity here and in our own lives because we’re forever astonished by the sacrifice Jesus made for us. Last year we even took a weekend in the busy season to get away as a family and just hang out, hike, and play together. Every year, I’m excited for the festivities leading up to Christmas. But every year, at some point I find myself exhausted, stressed, and feeling too busy. The “slow down and simply” philosophy would have me think I’m doing something wrong if the year’s biggest holiday, the most wonderful time of the year leaves me feeling anything but wonderful. I went on a mini-vacation the other day. First, I read the Bible in peace and quiet. Then I did Pilates without anyone trying to jump on or crawl under me. Next I took a long, uninterrupted shower. Then I wrote a blog post about our new minivan. Finally, I read a little bit of a book. It was crazy. This ideal morning cost me approximately $10 and it’s up there as the best $10 I’ve ever spent. Not only was my morning serene, my afternoon was also pleasant because my kid came back from preschool excited and happy. I love paying for preschool! After volunteering as a preschool teacher last year and bringing my preschooler along with me, I appreciate sending her off alone SOOO much. For both my kids I waited until the year before kindergarten to send them to preschool. This means about five long years at home full-time with these people before sending them off for a short, precious 7.5 hours a week. I love being able to stay home with my kids and count myself very blessed and privileged to do so. But it is not for the faint of heart. While some states offer free public preschool, it’s only free here if your child qualifies for certain developmental delays or disabilities. One more reason I’m grateful to be paying for preschool. Thankfully, preschool is highly affordable in our area, around $100-125/month for three days a week at many schools. I know some people are into “homeschool” preschool, which I think means you teach your kids numbers, letters, shapes, and colors, and get together with other preschool-aged kids. Which is pretty much life with a little person whether you have a special name for it or not. I get not wanting to pay someone to do things you can do yourself, but there’s a lot more to preschool than numbers, letters, or even socialization. For one, they learn how to be part of a classroom. I know a deal when I see one, and preschool is a hot deal. You can’t get a babysitter for that price, let alone a babysitter who will teach your kid, owns tons of fun toys, stages a massive play date every day, tires them out, and gives them a snack. I know the novelty will wear and we’ll have mornings she doesn’t want to get out of bed for school. And my luck with the baby napping at the same time will be hit or miss. We’ve already had days where she comes home complaining that the toy kitchen wasn’t “open” for play (the horror!) or they didn’t go outside to the playground. And of course, I don’t just lounge around doing whatever I feel like every time she goes to preschool. But I’m also enjoying those moments of free time very much! If you can afford it, I highly recommend sending your kid to preschool for at least one year. It’s amazing. What do you think about paying for preschool? I’ve written about how having kids improved our finances–and it did. We’ve always been frugal,but since the birth of our first child we really got our financial act together: we paid off student loans, wrote a will, got smarter life insurance policies, and got more aggressive about investing. We also have less time for costly habits like recreational shopping or eating at restaurants. More recently, I’ve mentioned how our spending on things like groceries, clothes, gifts, sports and activities, and babysitters has increased as they’ve grown older. Not to mention saving for college! I find it absolutely comical that bloggers conceive their first child and start writing about how babies don’t really cost that much. First of all, these people must have stellar health insurance. Because we are blessed to have good insurance and it still cost us a pretty penny–around $3000 just for our most recent bundle of joy. I think what these well-meaning writers mean to say is: you don’t have to spend as much as you think to get started having a kid. Buy secondhand. Get hand-me-downs. Don’t go overboard with the gadgets. Of course. But babies get bigger, hopefully. They start eating as much as you. They wear through shoes like they’re tissues. They might stop getting hand-me-downs. They want to play sports. They start wanting Legos. All that’s to be expected. What I didn’t quite expect is how my overall attitude toward money has shifted. I used to think of money as something to be optimized for most efficient use. Now I think of it more as a tool to be used in different ways, depending on the circumstances. I suppose this is the result both of our increasing financial flexibility, and our increasing family size. For example, the price I’m willing to pay for convenience has sky-rocketed. Perhaps it’s because we just welcomed a third little human into our family, but I have been more willing to shell out for things that will make my life easier. Things like a non-stick pan. And more silverware. And store-bought yogurt. And whatever shorts at Target will fit my postpartum waistline. Because I don’t have time to hand-wash extra dishes, make everything from scratch, and mine the thrift store for presentable pants. While I don’t believe in conveniencing myself to death, I do find that sometimes, it’s wonderful to have just the right tool for the job. In the garage, in the kitchen, or in your wardrobe. For example, we’ve tried to grind cardamom pods (for chai) in every way imaginable, but when we finally gave in and bought the spice grinder, it works like a charm. I’m starting to learn my lesson and just buy the things we really want rather than waiting a year. And while it feels a bit spendy, I don’t regret buying things that make our lives way easier and preserve precious time. On the continuum from frugal to frivolous, our spending is still on the thrifty side. But we’ve slid a bit on the spectrum, and I’m glad. It’s nice feel free to use the tool of money as needed in the moment, and not carry the weight of how much the cost of that spice grinder, or hospital bill, could have compounded over the next thirty years into every decision. At the end of the day, I’m just trying to make it to the end of the day! While my attitude will surely change as I emerge from having an infant, I don’t think we’ll ever find ourselves as far down the frugality spectrum again. Optimal efficiency and frugality have gone by the wayside as other values take a higher place: making time for our kids and keeping our household running sufficiently, all while continuing to serve outside our family as well. Where do you fall on the frugal-to-spendy spectrum, and how has that changed over time? In light of Mother’s Day, I’ve been reflecting on the financial legacy my mother and grandmother have left me. I learned more about frugality and generosity than investing or growing wealth. I’ve never expected to inherit a dime and that’s fine with me, because I’ve inherited something much more valuable. My mother and grandmother passed on their values of generosity and volunteering. Of putting people before money. Of hard work and the value of pouring that hard work into your kids for a season. Let me first brag about my grandma. She fostered 17 children in addition to having three of her own. After a season at home, she worked as a special education teacher for children with emotional and behavioral difficulties. She volunteered as a Sunday school teacher and vacation Bible school teacher at her church. She won numerous winning awards for being an outstanding educator and volunteer. After retirement, she volunteered extensively as a guardian ad litem, a child’s voice in court. Her experiences as a foster parent and affinity for detective novels served her well as she got to the bottom of what would be best for the child and represented their interests regarding custody. She regularly spent time with these children, took them out to lunch, and stayed in touch with their schools and guardians. She helped neighbors, friends, and family in need. She befriended a young woman with a terminal illness. She helped out a struggling neighbor. My grandparents were extremely hospitable, always hosting parties and barbecues, providing lots of food, and even took in people who needed a place to stay. My grandparents were very generous to us grandkids, but also to those whom they didn’t know. Whether it was the Angel Tree at Christmas, the food pantry donations, or contributing to a mission trip, they put their faith into action by providing for people in need. I’m sure I don’t know the half of what they did because they never put on a show about it. They clearly passed these values onto my mother, who is generous almost to a fault. Somewhere in the midst of having five kids, she found time to volunteer at our church in the music and children’s ministries. We almost always had neighbor kids over at our already bustling house or backyard. While “staying home” to raise us, she side hustled like crazy to supplement my dad’s income as a teacher. She provided before and after school childcare and sometimes babysat all day. She taught private music lessons several evenings a week. She sold hand-made oboe reeds, first to her students and then to a widening circle in her network. I also remember her taking on various side gigs sewing, cleaning, baking, and playing oboe in performances. Where did she find the energy?! She now owns and runs a small music store and plays side gigs. I also learned the art of thrift from my mom. She somehow managed to hang laundry, shop sales, clip coupons, and cook 99% of our meals at home. At age twelve I started earning a regular allowance. She taught me to give away some of this hard-earned money, and because of her generous spirit I never viewed this as a stupid rule, but a wise suggestion. I couldn’t be more grateful that these values were modeled to me and I hope to pass the same onto my kids. We’d also like to teach them more financial literacy, while carrying on this legacy of sharing time, money, and skills. What type of financial heritage did you receive? And what do you hope to pass onto your kids? Last summer I looked forward with great anticipation to sending my first kid off to school. After six whole years home with him (late August birthday), we were both ready. He did attend one year of preschool to help him get ready for all-day kindergarten. And my husband and I had decided that one year seemed sufficient, meaning my daughter would have another year before she went to preschool. Then I stumbled across a post looking for volunteers at an organization several of my friends volunteer at. The group serves a low-income community in a nearby city, where much of the population consists of immigrants and refugees. They were looking for assistants for their preschool classes. I was not looking for more volunteering opportunities at the time, since we already had some established evening volunteer ministry in our church, and I was home with the little ones and getting childcare so I could volunteer during the day seemed inefficient. But when I saw this post seeking preschool helpers, the thought popped into my head, “maybe I could take Jane.” She was, after all, preschool age. And I would love her to experience more diversity than we typically do in our suburb. Neil agreed it was worth at least finding out, so I asked and they not only said yes, they were quite enthusiastic about the idea of having an English-speaking peer. After some prayer and talking it over a little with friends, I signed up. I wasn’t sure what to expect, but I was pretty excited for Jane to “go to preschool with the world,” and equally stoked to have the opportunity to serve refugees in some small way. It turned out to be more challenging than I expected, in part because of deciding to get pregnant, but I also learned a lot. I’d like to share what I learned with you because volunteering does more than help others, it can transform us as well. I did not miss my calling as a preschool teacher. There are things I enjoy about preschoolers. They can be so darn cute, after all. But give me an angsty teenager any day. I found the first week of preschool extremely boring. Things got more interesting as we started working one-on-one with kids on specific skills during their free play time AND they got more comfortable and ornery. I enjoyed the challenge of trying to communicate with 3-year-olds with limited English. And it’s adorable how excited they get about painting. I am really, really selfish. There were times, especially as I went through unpleasant pregnancy symptoms, that I dreaded going to preschool. There were some rowdy kids in the class and communicating with parents about this was difficult as the parents’ English was typically more limited than the kids’. I often felt like my short two-hour stint there wore me out for the rest of the day. And I’m not used to getting worn out so easily. I tried to pray on the way to school, reminding myself of the privilege it was for both Jane and me to spend time with these kids, and asking for the energy, patience, and compassion to do my job there. Overall the kids were very sweet and cute and it was fun to see some kids blossom throughout the year. One very quiet little boy started laughing and chattering just in the last couple weeks. I had no idea he knew that much English! I am really, really blessed. While all the kids in our class were born in the U.S., many of their parents were born into poverty and political oppression. Some may have spent their entire lives in refugee camps or as displaced persons in other countries, until coming to the U.S. And of course, it’s incredibly difficult coming here with next to nothing and not knowing the language or how things work. I’m working at such an advantage. But the thing that really struck me when I got crabby about wrangling twelve little wild things, was how privileged I was just to have the opportunity to volunteer. What a blessing to be able to stay home with my kids, and to have happened across a way to serve alongside my daughter. If I had to work during the day this opportunity would be out of the question. I also thought about how many daycare employees work long, hard, underpaid hours. Loving people where they’re at. I was a little surprised by the teacher’s approach to discipline at first; it wasn’t as strict as I’d expected. Then again, many of these kids may have no concept for what we were asking them to do: clean up, stand in line, sit still, or stay in time out. After all, some of them don’t even have toys to clean up at home. And they’re three. As time went on, I realized the teacher was providing structure and boundaries while loving the kids where they were at. And that is something I could really stand to do much better with pretty much everyone in my life. After all, that’s what God has done with me. And I have many friends who love and accept me despite my plentiful faults. With the preschool kids, it was fun to focus on their strengths even when they would get out of hand at times. The boy who couldn’t sit still at circle time was gifted both athletically and artistically. The aggressive, emotionally immature one was also one of the most articulate (and the youngest). I could go on. This same perspective and exercise would serve me well in all my relationships, as I can be hyper critical and focus on problems rather than progress. What has volunteering taught you about yourself? Have you found a good match that uses your strengths while meeting needs? Sound familiar? We’ve probably all heard or made some of these statements. If to err is human, so is to make irrational excuses. Don’t worry, I’ve erred and excused with the best of them. We nursed our student loans for a couple years (and went to Europe, and bought a house) before deciding to decimate them. I withdrew funds from my retirement account after leaving my first real job at age 21. (Doh!) We all make mistakes, and we all have different priorities. But I hear a lot of people who are completely mystified about their financial frustrations because they genuinely believe they are pretty frugal. So how is it that some people cut coupons, shop sales, eat Meatless Mondays, even give up cable (!) , but just can’t seem to get ahead financially? Chances are, they’re only pretending to be frugal, which is a world apart from pretending to be poor. In a materialistic culture that masterfully markets the financial fallacy that we save money by spending money, it’s almost impossible to resist the pitfalls of faux frugality. The point here is not to feel guilty, but to wake up and get clarity about our financial decisions so we can take charge. I can’t sit back and let comrades Pretend to Be Frugal, when they should instead Pretend to Be Poor. Let’s explore the difference. So are you frugal or just pretending? Are you simply finding cheaper ways to inflate your lifestyle, or taking concrete steps to deflate your lifestyle? In other words, are you looking for discounts on luxuries, or continually searching for the bottom boundary of how little you can be content with? You are either pushing the upper limits of your budget with excuses to spend, or challenging yourself to spend less and less. Faux frugality views spending as a way to save. Do your “thrifty” habits belie spendthrift problems? We’ve all been tempted to spend extra to get a “free” gift, “free” shipping, or a tax write-off. But spending $50 to save $10 doesn’t mean you saved $10. It means you spent $50. On a larger scale, someone might upgrade a vehicle to “save” on fuel costs. But many times the cost of that upgrade can’t be recovered by the gas savings in a reasonable amount of time. People even buy houses because the mortgage payment looks cheaper than rent, and fail to consider the hidden costs of home ownership. Those who Pretend to Be Frugal see spending as a game that consumers can win. If people who Pretend to Be Poor see spending as a game at all, it’s how little they can spend. Not how much crap can I accumulate while shelling out hard-earned cash. Instead, they want to spend in order to secure real needs and carefully chosen wants for as little as possible. I’m thrilled to optimize spending, but I’m not optimizing my money if I’m indulging in discounted luxuries that I don’t truly value. Materialism is a losing game, and I’m out. Another big distinction between faux and true frugality is a willingness to tackle the big expense areas. The top three cost of living categories are housing, transportation, and food. If you can get these under control you are well on your way to financial progress. Often people stop at smaller areas like clothing or cell phone plans. I believe no budget line is safe from frugalizing. And people often need to start with something smaller and more manageable. But if you’re unwilling to delve into the deepest savings potential, you’re only playing at frugality, and it won’t get you anywhere. You can shop exclusively at ALDI and Goodwill, but if you’re unwilling to get rid of your car payment, slash your $300/month dining budget, pay off your student loans, or stop paying outrageous interest on credit card debt, you will not get ahead financially. 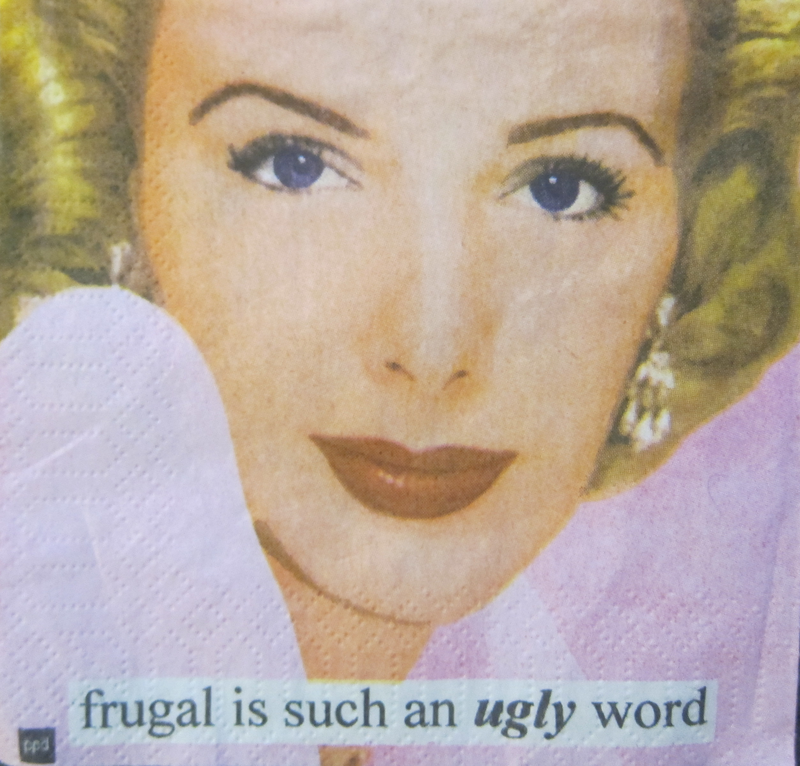 The Faux Frugals also lack consistency in key frugal practices. For example, they may shop at a discount grocery once in a while when it’s convenient, but mostly end up over-spending in unplanned trips to the Big Store. Until you are truly committed to the bigger picture of why you’d Pretend to Be Poor, you’ll lack the motivation to plan ahead and build frugal habits into your routine. Whether it’s hanging laundry to dry, packing a lunch, saving up for purchases, or paying off debt, consistency is key. You can’t practice frugality only when you feel like it; you’ll never see a difference. It’s those who give up too soon who say, “I tried being frugal, it didn’t really help.” The problem wasn’t the advice, but the lack of perseverance. And this brings us to the issue of motivation. Pretending to Be Frugal has many possible motives. If you find yourself constantly comparing spending to friends, fighting with your spouse about money, or making financial decisions out of guilt, you probably haven’t latched onto lasting motivation. Understanding why you want tosave money is going to get you a lot further than just knowing how to save money. Why the heck would I wash poopy cloth diapers or go camping for vacation with two tots in tow? What keeps us going is our purpose. Pretending to Be Poor is not about being a miser. There’s nothing actually impoverished about our lifestyle. But we are essentially pretending to have less money than we do, so we can have the flexibility to take opportunities that come our way (like my trip to India), prioritize people, and practice generousity . Authentic frugality increases your usefulness as you learn new skills, get creative, help others, strengthen your relationships, and enjoy it all as a fun adventure. So stop playing at being frugal. Unless you make a ton of money, if you want to make progress financially, you have to go all-in. That doesn’t mean tackling your entire budget at once. But you have to be willing to challenge any area of spending, one at a time, big and small. You have to quit the materialistic game of spending to “save.” You’ll need to give up some preferences and be consistent. And you must get your reasons in order to secure lasting motivation. Consider Proverbs 14:23: All hard work brings a profit, but mere talk leads only to poverty. What other differences do you see between faux & real frugality? What motivates your frugality? I was born frugal. That’s not to say I’ve never wasted money, but the frugal force is strong with me. As a kid I would eat all the stale, half-portions of cereal left in the bottom of the box that no one else wanted, because I didn’t want food to go to waste. I would pick out each color of crayon from our craft box before school started, because why buy a new box when you already have lots of crayons? (My mom got me new ones anyway.) I read grocery ads from a young age because I just needed to know how much things cost. I was born frugal, and I’ve had to un-learn cheap. Stingy. Miserly. Because I definitely can be. In college I ate an incredibly frugal diet that only cost about $10 per week—and in retrospect must have been vitamin-deprived. Just this week I felt seriously conflicted over whether to let my kids get ice cream at the school art show. First of all, what does ice cream have to do with art? This is a money trap! And secondly, we have ice cream at home! But when all your friends are eating ice cream together in the gym at a once-a-year event and we can afford it, why I am so conflicted over spending $6? Of course, I don’t want my kids to feel entitled to every treat we pass by, but they hear no plenty so it wasn’t really about that. It was about the fact that I’d never fall for the school art show ice cream trap as a super-frugal kid. So why do I have to fall for it as an adult? Because I’ve learned something about when frugality doesn’t fly. Frugal doesn’t fly when it comes to generosity. I don’t give money to pan-handlers, but I do believe that generosity is the antidote to frugality gone wrong, not to mention it helps others and is a joy to the giver. We plan our generosity ahead of time so we can always afford it, and also so we don’t have to think too hard about every single opportunity that comes our way. We can feel free to say yes or no as we feel led to the requests that we encounter throughout the year, knowing we’ve already prioritized giving to the causes most dear to us. Frugal doesn’t fly when it comes to friendship. That doesn’t mean we’re picking up the tab every time we go out. But it also doesn’t mean I’m skipping friends’ birthday dinners just because I don’t prefer to spend at restaurants. We go out about once a week with other people. Because that’s what people do. Often we pre-game by eating dinner at home, and just order a drink, side, or appetizer to share. And if it’s someone’s birthday or other special occasion, make sure the birthday person isn’t paying! Frugal doesn’t fly when it comes to gifts. I’m not an extravagant gift-giver and probably never will be, but I do like giving my kids and husband something they’ll really like for Christmas and birthdays. I also try to be moderately generous for weddings, showers, and kids’ birthday parties (it doesn’t take much too please kids, though). If I can use a coupon or gift card or shop a sale, I will. Frugal doesn’t fly when it comes to hospitality. Again, I’ll never be the person spending $100+ on dinner parties. I don’t believe in “entertaining” where the focus is on my beautiful home and gourmet spread. But I’ll happily spend enough to make sure guests feel comfortable and cared for. That means we spend more on a food, period. And it allows us to invite people for dinner, playgroup, a prayer breakfast, or evening hang-out. I’ve learned recipes and snacks that please a crowd without being expensive or complicated. Frugal doesn’t fly when it comes to quality time. As mentioned above, we spend money on our dates and on our marriage in general. This includes the occasional getaway, occasionally buying an attractive outfit, and spending on restaurants and babysitters. We also aim to take our kids on weekly dates, which usually entails buying some kind of treat like an ice cream cone or French fries. Often we do super-frugal stuff like going to the park or the library or riding bikes. Once the boys went on a canoe trip that was not cheap, but formed a special memory. For a special date I took my daughter to a high school production of Beauty and the Beast. We don’t want to spoil them, but we definitely want to spend quality time alone with each kid on a regular basis, especially since we spend several nights a week away from them with our ministry. And as our family grows it’ll be even more important. Frugal doesn’t fly when it comes to deciding whether take a family trip or go on a church retreat. We just say yes to these because we highly value them, but again, we still find ways to make it less expensive. We camp, we earn some free hotel stays, we try to avoid tourist traps, and we pack snacks for the road. Frugal doesn’t fly when quality is a better value. There’s a danger here of thinking you need the best everything. But as we DIY an upgrade for our main bathroom, for example, we won’t be using the cheapest possible materials. We’re willing to spend a little more to maintain our home properly and to furnish it with pieces that will last. And I cannot wear cheaply made shoes. Perhaps this all sounds very frugal or rather spendy to you. It’s all relative. But to my extremely frugal, borderline naturally stingy self, I wouldn’t spend on any of it. I wouldn’t spend any money on restaurants, and would sit home reading a book while my friends went out. I wouldn’t travel; it’d always be a staycation. I wouldn’t buy extra snacks and drinks to have people over; I wouldn’t even buy meat or treats for my own family! And I certainly wouldn’t buy ice cream at the school art show. But I’ve learned there are times when “frugal” i.e. stingy doesn’t fly. We all know there is a difference between frugal and cheap, but where we draw the line is somewhat personal. I’d say if it has to do with other people or your deepest values, it’s worth your money. Not all your money, and not spending to the point or debt, but it’s worth what you can afford while also meeting other goals. Where do you draw the line between frugal and cheap? What areas would you say frugal doesn’t fly?